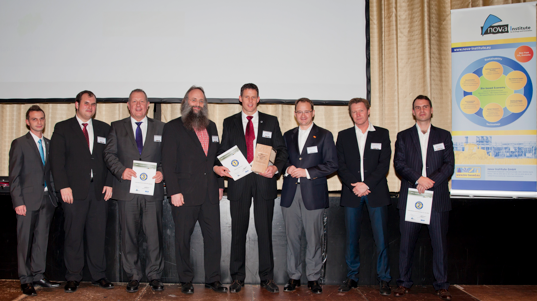 More than 270 participants from 25 countries and regions attended the 5th German WPC Conference, which was held from December 10-11, 2013 in Cologne, Germany, announced the organizer nova-Institut GmbH. Dr Asta Eder of Asta Eder Composite Consulting (Austria/Finland) and Michael Carus presented their new joint study “Wood-Plastic Composites (WPC) and Natural Fiber Composites (NFC): European and Global Markets 2012 and Future Trends” to the public for the first time. According to their market research, worldwide WPC production will rise from 2.43 million tons in 2012 to 3.83 million tons in 2015. Although North America is still the world’s leading producer with 1.1 million tons, ahead of China (900,000 tons) and Europe (260,000 tons), it is expected that China (1.8 million tons by then) will have overtaken North America (1.4 million tons) by 2015. European production will grow by around 10% per year, reaching 350,000 tons in 2015. The main fields of application for WPCs worldwide are the construction industry, especially decking, fences and façade elements, and the automotive industry with WPC interior components. One particularly dynamic sector at the moment are WPC granulates for use in injection molding to make a large range of different finished products such as furniture, casings for household appliances, technical parts as well as in automobile interiors. Several major cellulose and paper companies such as UPM (Finland), Mondi (Great Britain/South Africa) and Weyerhaeuser (US) brought competitively priced WPC granulates to market in 2013. The next few years will show whether these new materials will survive on the market and whether the WPC injection molding, “the sleeping giant”, to quote Mr Carus, will really come to life. 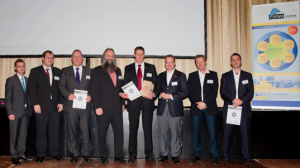 For the very first time, the conference was presented with comprehensive life-cycle assessments carried out by the South German Plastics Centre (SKZ) and the Institute for Energy and Environmental Research (IFEU) comparing WPC decking with other materials. Cassandra Derreza-Greeven from IFEU gave the following summary of the findings: Thermowood made from home-grown timber came first, followed by German hardwood. Decking made of indigenous softwoods and WPC came out roughly equal, whereas tropical wood comes out of the life-cycle assessment worst. Although WPC score worse than home-grown timber for greenhouse gas emissions and cumulative energy consumption, it does well for land use and eutrophication.